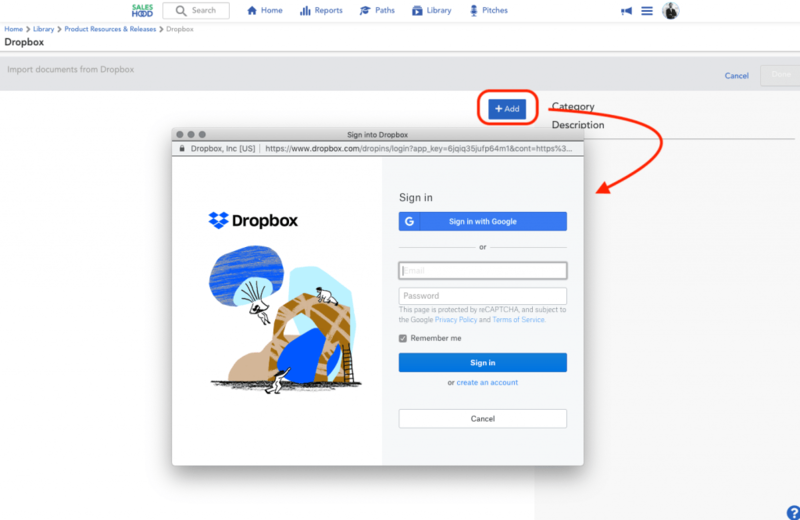 Dropbox is a cloud content management and file sharing service for businesses and individuals. 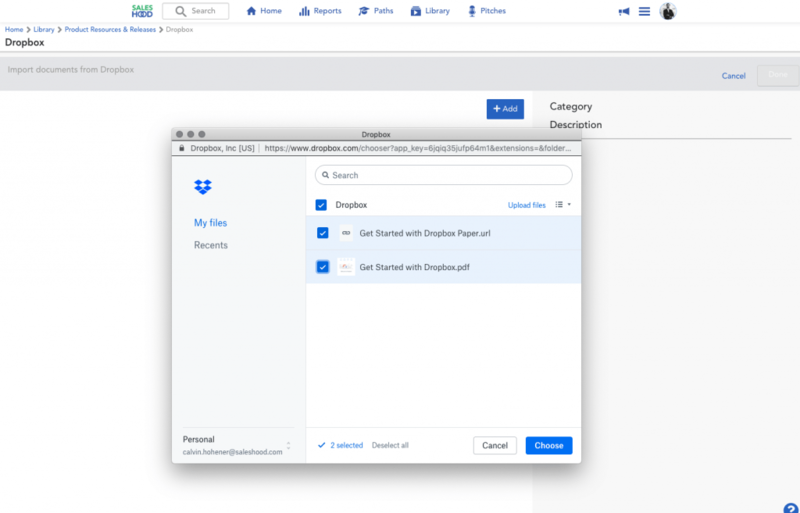 If you use Dropbox to manage content for your business you can sync the files and folders directly to the SalesHood library so they can be used in SalesHood programs and tagged to be pulled into Salesforce via SalesHood’s Content Management Application for Salesforce. 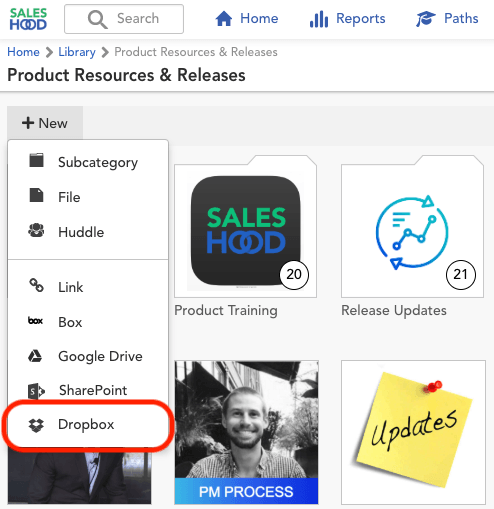 Navigate to the Category in the SalesHood library you’d like your Dropbox files to reside. 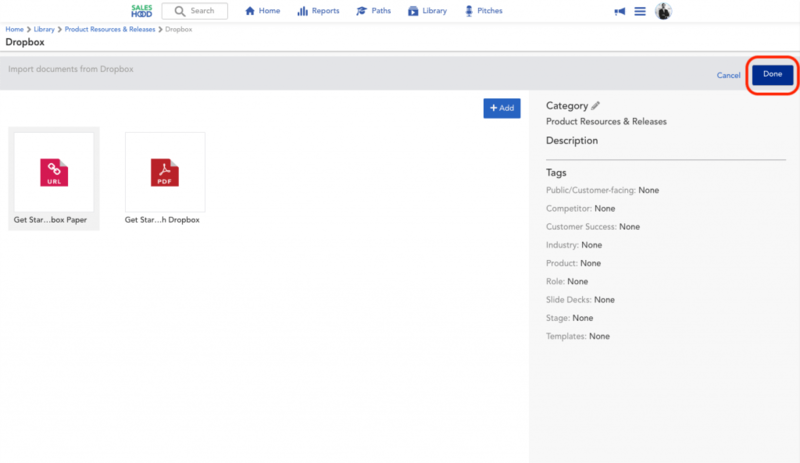 You have the option of selecting a Category when importing the files as well.